Pulitzer finalist Nathan Englander joins us for his best work yet–a brilliant, streamlined comic novel, reminiscent of early Philip Roth and of his own most masterful stories, about a son’s failure to say Kaddish for his father. Larry is the secular son in a family of Orthodox Brooklyn Jews. When his father dies, it’s his responsibility to recite the Kaddish, the Jewish prayer for the dead, every day for eleven months. To the horror and dismay of his sister, Larry refuses—imperiling the fate of his father’s soul. To appease her, Larry hatches an ingenious if cynical plan, hiring a stranger through a website called kaddish.com to recite the prayer and shepherd his father’s soul safely to rest.Sharp, irreverent, hilarious, and wholly irresistible, Englander’s tale of a son who makes a diabolical compromise ingeniously captures the tensions between tradition and modernity—Kaddish.com is a book to be devoured in a single sitting whose pleasures and provocations will be savored long after. 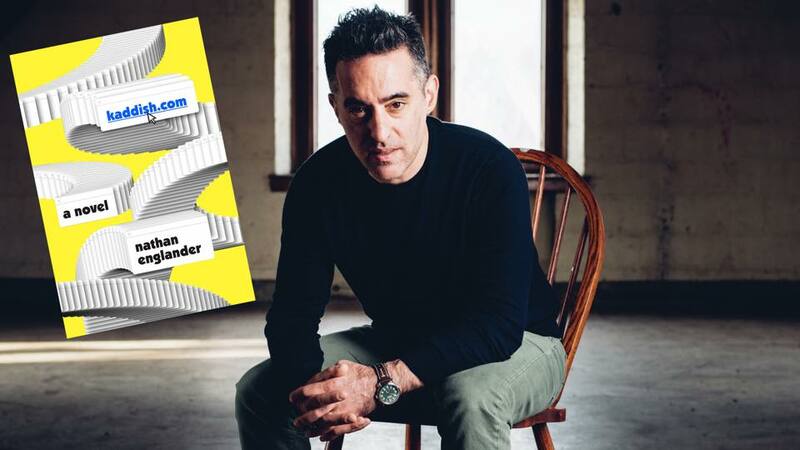 Nathan Englander is the author of the novels Dinner at the Center of the Earth and The Ministry of Special Cases, and the story collections For the Relief of Unbearable Urges and What We Talk About When We Talk About Anne Frank, winner of the Frank O’Connor International Short Story Award and finalist for the Pulitzer Prize. His short fiction has been widely anthologized, most recently in 100 Years of the Best American Short Stories. His play The Twenty-Seventh Man premiered at The Public Theater in 2012. He also translated the New American Haggadah and co-translated Etgar Keret’s Suddenly a Knock on the Door. He is Distinguished Writer-in-Residence at New York University and lives in Brooklyn, New York, with his wife and daughter. This event is free and open to the public. Copies of Kaddish.com will be available starting March 26 at Magic City Books and will be for sale at the event.